Arthritis is a broad term that encompasses conditions which affect joints. Broadly speaking, the structures which protect and reinforce the joint become damaged and the patient starts to experience pain, stiffness and inflammation. For instance, the cartilage, which is the tissue that covers the bone surface and allows ease of movement wears out and the bone tissue grinds against itself causing a lot of discomfort to the patient. 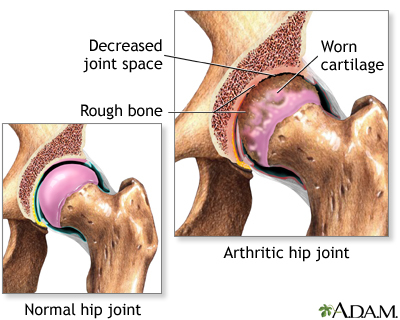 The most common types of arthritis are osteoarthritis, rheumatoid arthritis and juvenile arthritis. Age-as people get older, the weight bearing joints usually in the lower limbs wear out and the normal healing process which ought to help restore it in the human body tends to decline as one gets older. Weight: Weight increases the work of the joints and the load on it, with increased weight, there are higher the chances of wear and tear and altered biomechanics in the joint. Repeated positions: positions or sports which repetitively load the joint increase the sheer force within it. Throwing, squatting, running and lifting of heavy objects are common causes. Limited range of motion or stiffness especially in the morning or after being in a position for too long. This is an autoimmune disease in which the body’s immune system attacks the joints. This creates inflammation which causes the synovium, the tissue which lines the joints to thicken. This thickening results in swelling and pain in the joints. The inflammation if left unchecked is progressive and causes erosion of the joint surfaces. The joint then becomes loose, painful and loses its mobility and deformity occurs because the capsules are stretched too thin. It is a systemic disease and it can affect body systems such as skin, respiratory and cardiovascular systems. It usually starts slowly and can have periods of remission. It commonly occurs in the small joints of the body-hands, feet, wrists, elbows, knees, ankles. Depending on the type of arthritis diagnosed, the treatment protocol may vary. For instance, because joint damage from rheumatoid arthritis cannot be reversed, it is important to seek early and aggressive diagnosis and treatment. Referral to a rheumatologist may be required if rheumatoid arthritis is queried. There are instances when surgery may be advised and physiotherapy may be required for pre and post operative rehabilitation to restore range of motion. Reducing pain and inflammation, improving range of motion, strengthening muscles around the joint, prescribing appropriate braces and improve balance, alignment and walking or transfer techniques. If you have more questions or want free physiotherapy advice relating to this, why don’t you give us a call on +2348035670888 or +2348179140921 we would be happy to help.